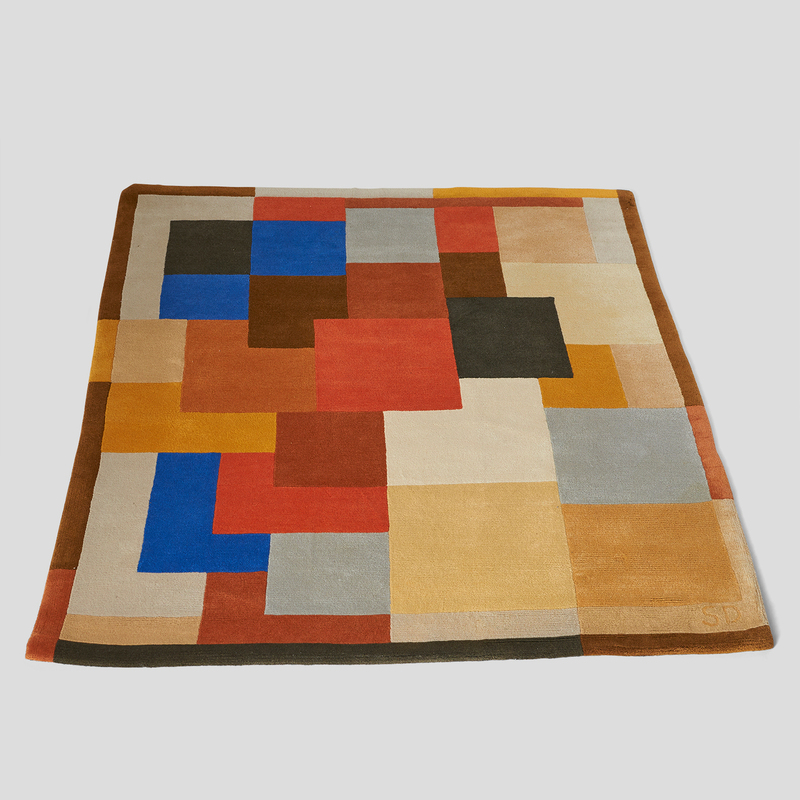 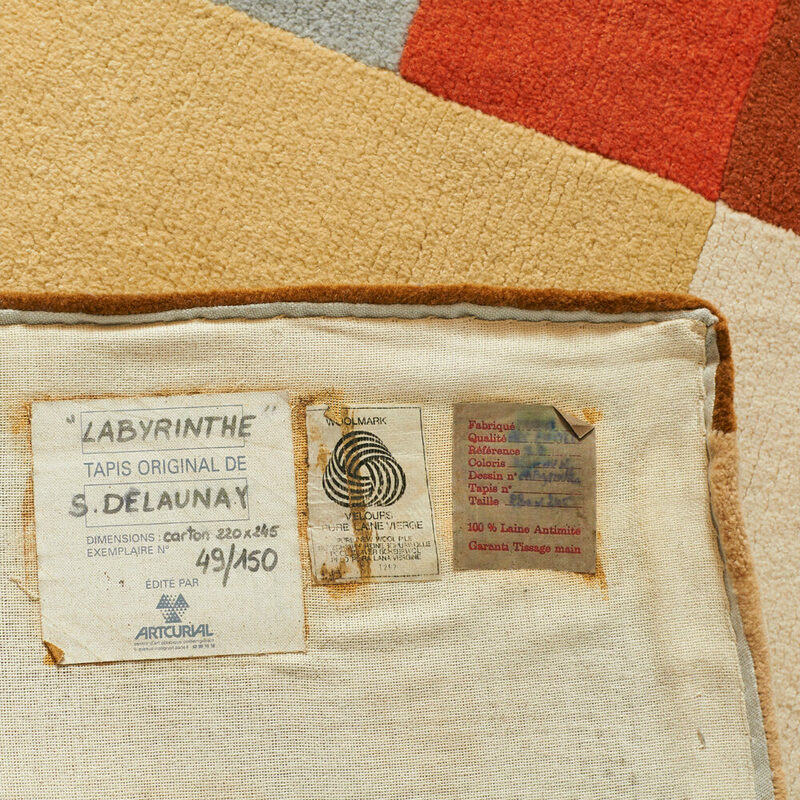 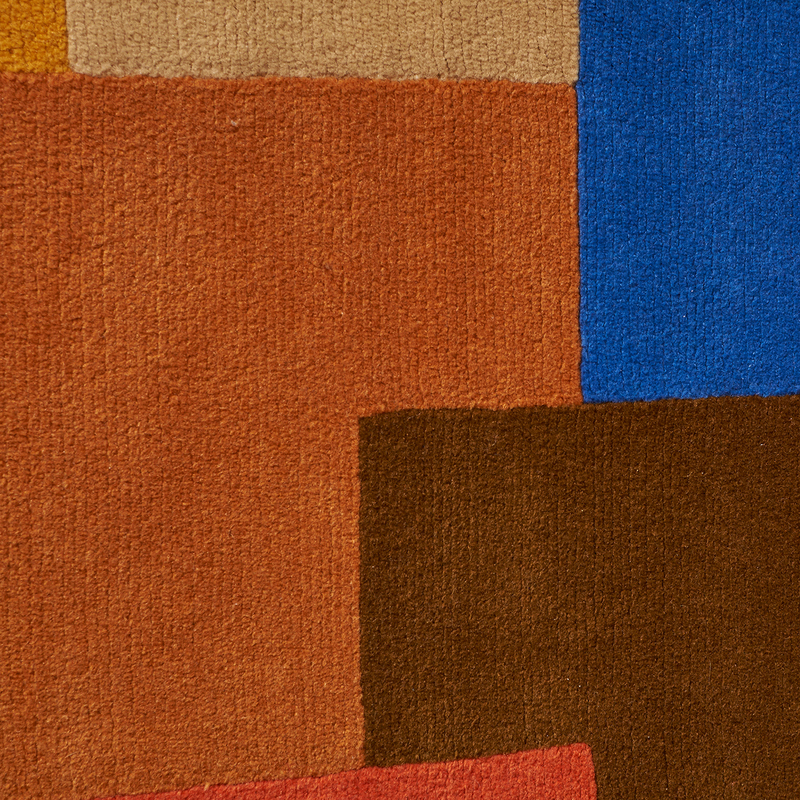 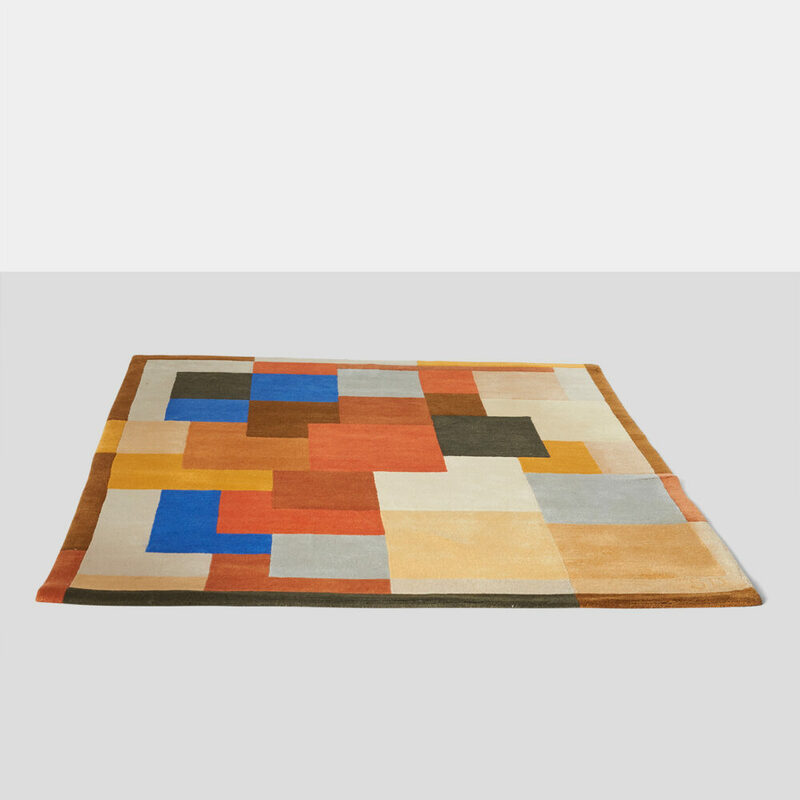 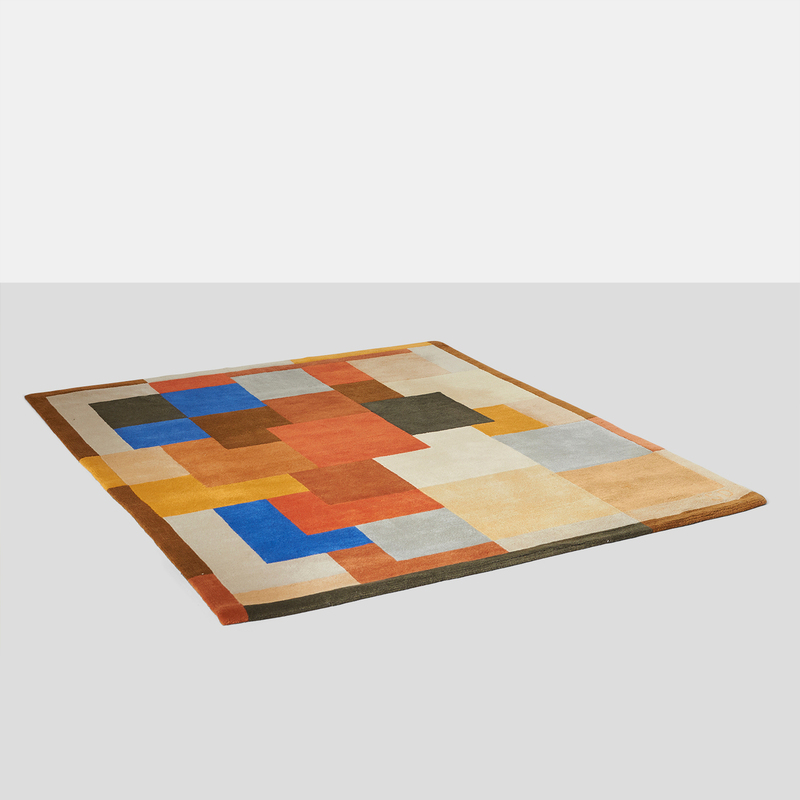 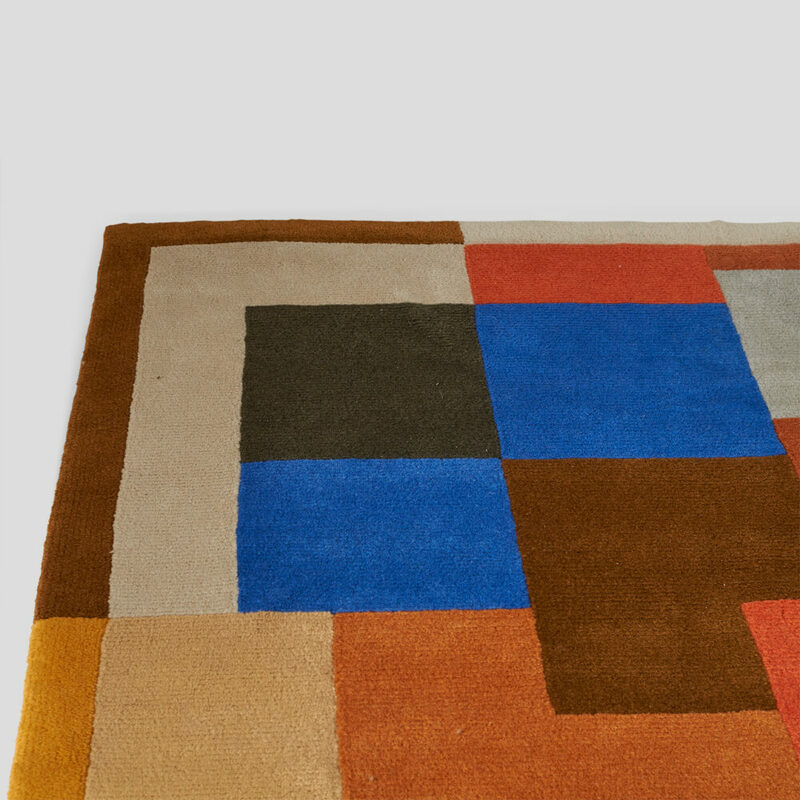 A hand tufted wool area rug in a geometric Art Deco pattern. 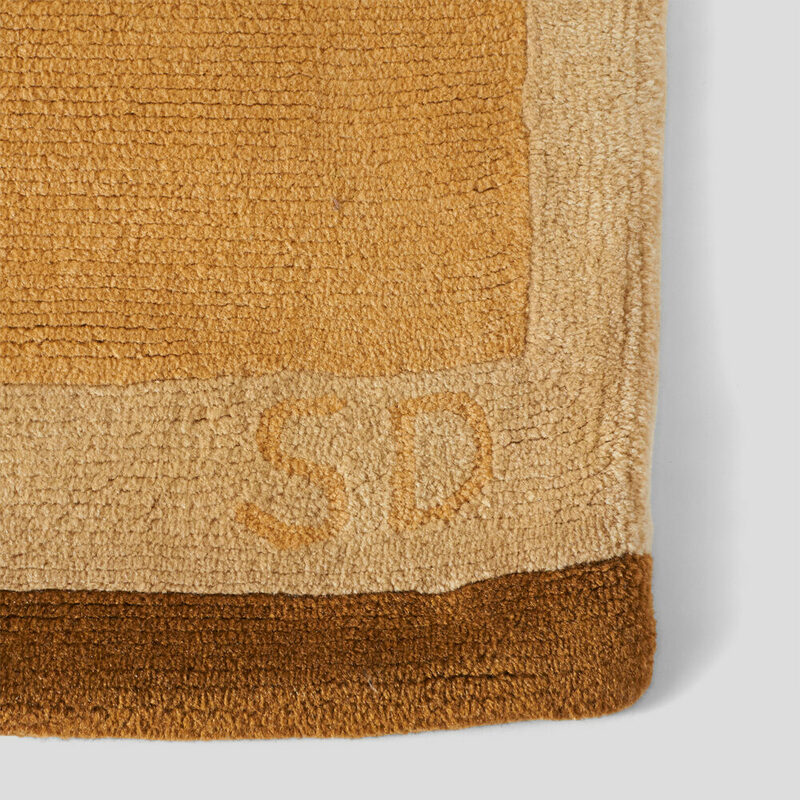 Signed with SD initials on the lower right hand corner. 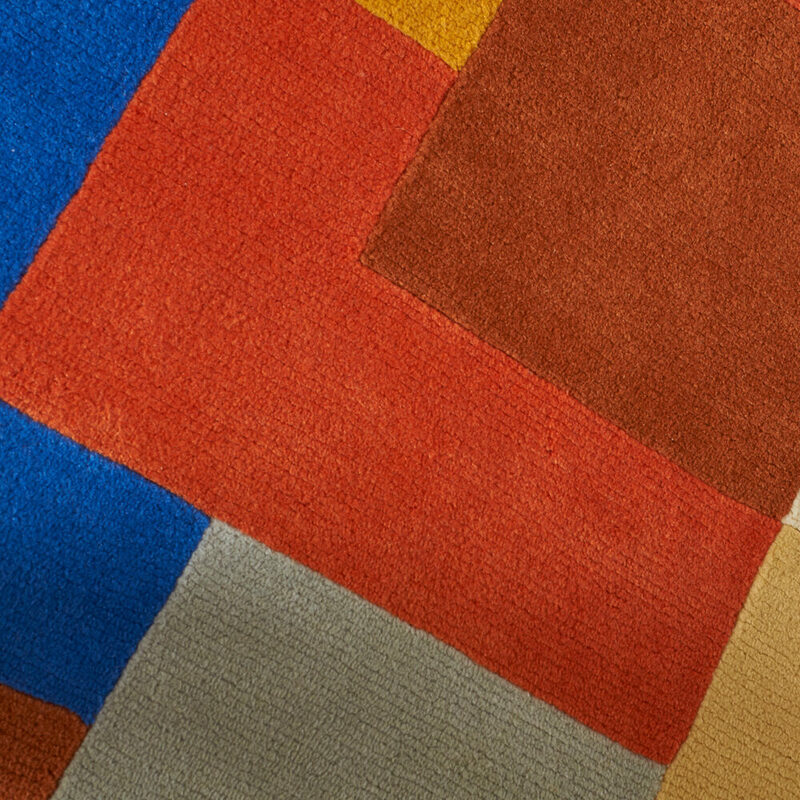 Designed from an earlier pattern made famous by Sonia.